Watch for our friendly knowledgeable admissions professionals and student ambassadors at a school near you! We also offer on-campus activities throughout the year, when we open our doors, offer admission information and answer your questions. We look forward to meeting prospective applicants, their families and counselors. 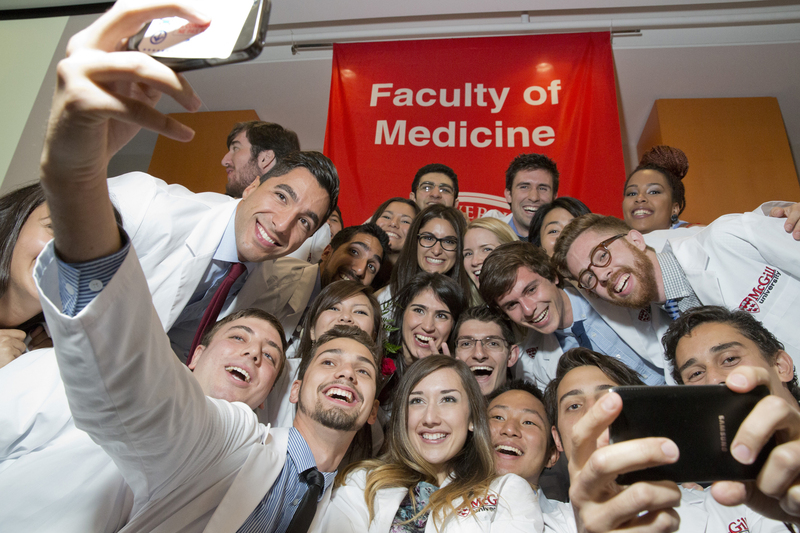 McGill Open House ► Sunday October 21, 2018 (10:00-16:00). McGill University opens its doors to the public and invites prospective students to visit the campus and speak with faculty and department representatives about the various courses of study available at McGill. McGill Re-Applicant Information Session ► October 4, 2018 (14:00 -16:00) (please take note that information will be provided in a general manner, no specific information pertaining to your previous applications will be discussed during the information session). First People's House► October 11, 2018 (17:00- 19:00). For prospective Indigenous students. A joint event with the Faculty of Law. Join Medicine admissions and current Indigenous students for information on Health Professions programs and admissions requirements. McGill Winter Fair► February 2, 2019 (10:00-14:00) High school and CEGEP students from Quebec are invited to McGill's downtown campus to learn about the Med-P program and admission requirements. The list of events organized by Enrollment Services, are found here.